When you take two spirited young boys in rural Ohio, add their dedicated father and a Romanian violin professor, you've created a formula for unprecedented success. Such is the case of brothers Jason and Zachary De Pue who are now violinists in the Philadelphia Orchestra. Jason and Zachary spent many seasons in the Chautauqua School of Music. 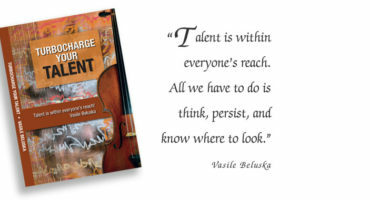 During their apprenticeship in Chautauqua, they were fortunate to be under the guidance of their violin teacher from back home, Vasile Beluska, string area coordinator and professor of violin at Bowling Green State University. 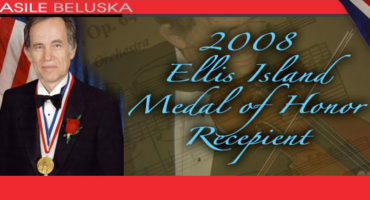 Mr. Beluska is currently serving his 14th season as professor of violin at Chautauqua. Jason and Zachary, two of four brothers, are the sons of Wallace and Elaine De Pue, Sr.. Dr. De Pue's son, Wallace, Jr., is now a doctoral candidate in violin performance at the University of Texas, at Austin. He plays in the Austin Symphony and the Austin Opera Orchestra. Alexander De Pue is the family "fiddler" who landed in the world of country music. He can be heard daily, with singer Chris Cagle, on both country music radio and television stations throughout the United States. In the early years, the talented musical family was known as the De Pue Family Musicians. "For more than twenty years, we played all over America," says Dr. De Pue. "The income that resulted from our performances allowed me to pay for violin lessons, repair bows (some of which were broken in sword fights), violins (which had been sat upon), endless pieces of music, chin rests, music stands, etc." Those in Chautauqua will undoubtedly remember the time the De Pue family played at Old First Night. The four boys played classical, country, popular and folk music during an unforgettable performance. Mr. Beluska took Jason and Zachary under his musical wing shortly after their mother, Linda, died in a car accident. He became the young boys' mentor, support system, and personal guide. Mr. Beluska's teaching techniques revolutionized Jason's and Zachary's violin performances. "Vasile's ideas were different; they caused remarkable progress for my boys," says Dr. De Pue. "His lessons were always full of fun and energy." Despite the vast personality differences in Jason -his father describes him as "water," a young boy who did whatever he was told-and Zachary, described by his dad as "fire," a boy who wanted to argue about whatever he was told -Mr. Beluska managed to lead both brothers to outstanding musical achievement. In 1991, when Jason was 14, he auditioned for the Chautauqua Youth Orchestra (CYO) and later that summer, won the concerto competition that allowed him to appear as soloist with the Orchestra. He performed the demanding Tchaikovsky violin concerto with the CYO, providing Chautauquans with quite a thrill. When Tchaikovsky wrote this concerto, it was believed that no one could play it, and it was over forty years before anyone attempted it. Jason remained with the CYO, and two years later, his brother Zachary joined him. 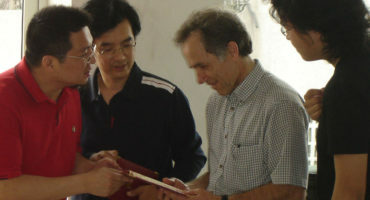 Zachary was known as one of the great resistors to practicing. "Zach just wasn't sure whether he should be a musician or not," says his father. "He couldn't decide whether he wanted to be a violinist or ball player. Meanwhile, Vasile was grooming him to participate in the young artists competition sponsored by the Toledo Symphony Orchestra. When Zach won the competition, he became a serious musician." Zachary and Jason both won the Ohio Governor's Award to attend Interlochen, a distinguished summer music camp, where both young men won the concerto competition. After the De Pue brothers left Mr. Beluska's studio, Zachary and Jason were both accepted into and graduated from the famous Curtis Institute of Music in Philadelphia, a tuition-free institute where, being musically gifted enough to pass an audition for the entire faculty is a major qualification for admission. The brothers seemed destined to follow each other in both honors and careers. Jason became the concertmaster for the Curtis Institute Orchestra, an honor that Zachary earned a few years later. Today, Jason plays in the first violin section of the Philadelphia Orchestra, where he is a tenured member. This past spring, not surprisingly, his brother Zachary won the Philadelphia Orchestra audition, and in August, will become the second De Pue in the first violin section. Undoubtedly, as the audience in Philadelphia listens to the young De Pue brothers this fall, they will hear what the audiences in Chautauqua enjoyed so immensely not so many years ago.